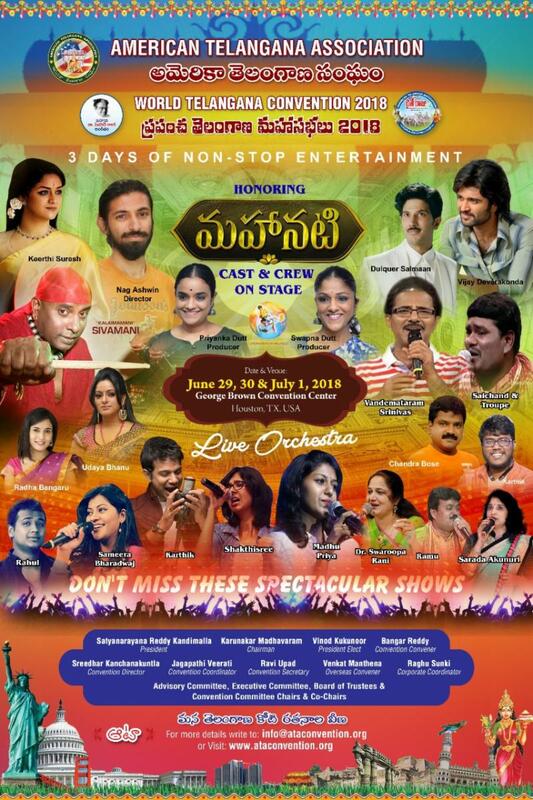 A family retreat with Texas size welcome for all Telugu people across the Globe, home away from home on June 29, 30th and July 1st 2018 at George R Brown Convention Center, Houston, Texas. Shop, Chat n Relax in specially designed Market Place. Palle Paata – ATA Nota Finals. Specials on Bathukamma, Bonalu & Kolatam. “Rachchabanda” a moderated special program on Farmers. Get ready to win the BATA Volleyball/Throwball tournament!